TOUR NEWS: Soul Fest Tickets on Sale Tomorrow (15 April 2014) at 10am + DJ Trey Mixtape | SOUL OF SYDNEY FEEL-GOOD FUNK SOUL DISCO vibes & beyond. For anyone who missed our on pre-sale tickets, Soul Fest General Public tix on Sale from 10am Tuesday April 15 2014 at 10am from www.soulfest.com.au. 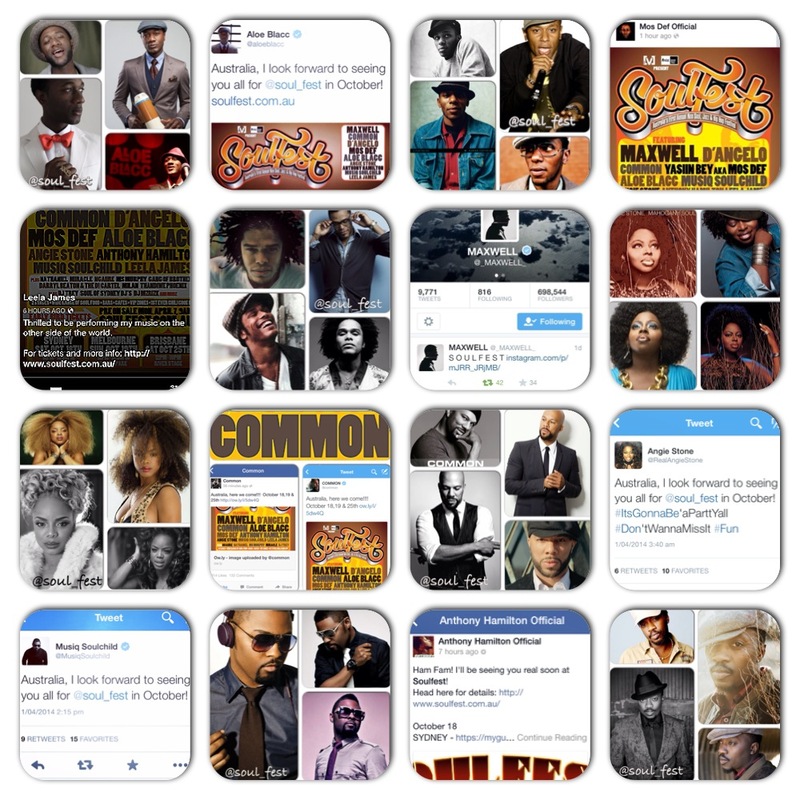 Since the leak a month ago and official announcement, the soul music work has been buzzing around the globe in anticipation of this unprecedented line up, check out some of the artist responses who are playing on the day, even they are blown away by line up that features everyone from Maxwell, D’aneglo, Mos Def, Aloe Blacc, Angie Stone. Check out the official Soul fest mix tape by DJ TREY.